The 1970s Diet: Ohhhh What You Wearing, What you Wearing..
....for Britmums?! Seeing as Rachel did her linky on what she's wearing to Britmums on Friday I thought I'd reciprocate. 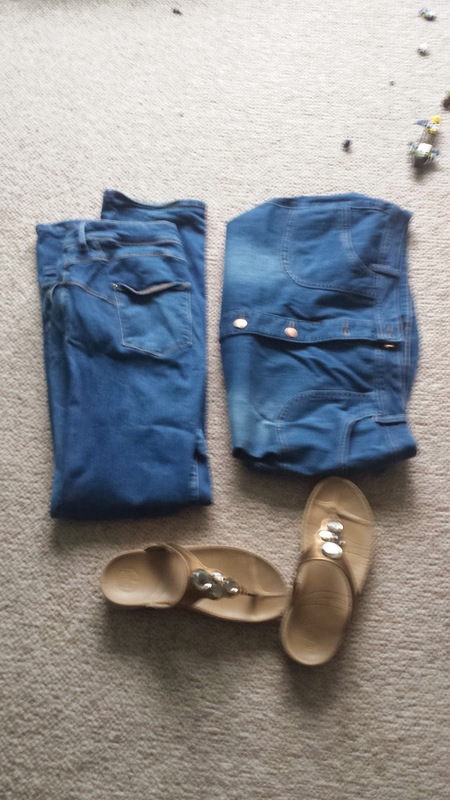 Although, her photo's are far superior (as you'd come to expect) and all her clothes are nicely laid out and some thought has gone into how she is presenting her outfits. Then you have my contribution and, as you would come to expect, I just quickly ran upstairs (whilst cooking tea) threw my outfits onto the lego room floor and took some out of focused pictures. I then ran back downstairs, tossed the shoes onto the kitchen floor and took another poor photo. So what am I wearing? Who cares?! You all shout. No one! I shout but you're going to see it in any event. I always stick to my wedding mantra when it comes to things like this. Which is - don't worry about it. This is because when it comes to weddings you fret and fuss but when you get there you see that there are plenty of people wearing cardigans and looking like they've made zero effort. That's the mantra. Firstly, its cooling this week which suits me fine as quite frankly I don't want to be all sweaty and sticky whilst mingling with the bloggerati, however, I'm sure The Brewery has stretched to some air conditioning - still its better if its slightly cooler on my inner thighs. I didn't want to wear my maxi dress either as its not the most flattering number. I'm not going glam - I can do glam but no, just no. Comfort before fashion. Mumsy Moo I shall be - it is Britmums after all. I don't want to fly in the face of the 40 something (less of the something!) mumsy stereotype. So without further ado - here are my 'outfits' aka what I'd wear on any other day. Pushing the boat out I'm telling thee. Actually since Rachel said she'd purchased some sucky in vests - I purchased some sucky in knickers. So I have pushed the dingy out a little. I've plumped for the white number rather than my posh Lulu Guiness - although the white one did come from America and was a present from the hubster so it might be posh. Who knows. 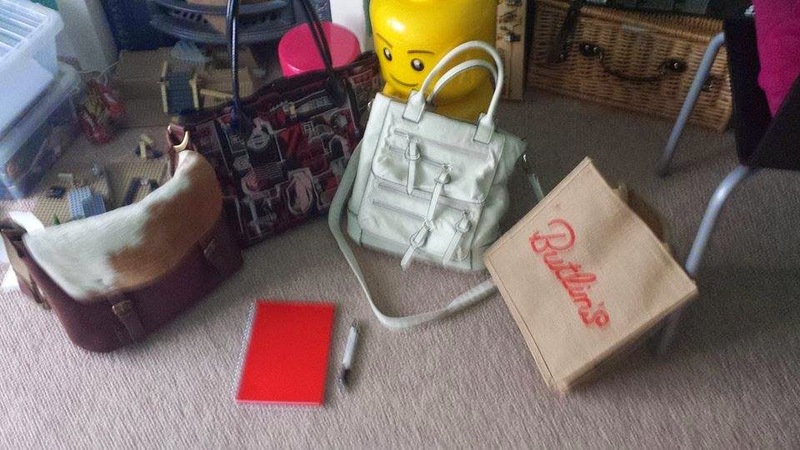 As you can see the Butlins bag will be coming along to hold any purchases and freebies I may receive. I will also use it in my desperate attempts to become a Butlins Ambassador. That is my mission and Rachel may have to disown me at various stages during the conference. 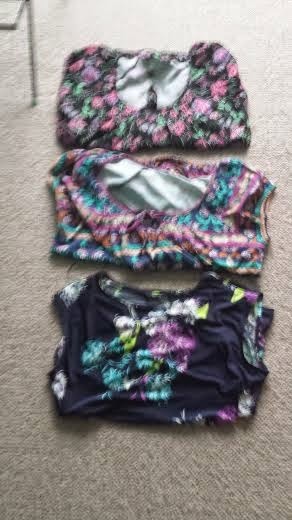 Some nice out of focus tops - I can't be bothered to go upstairs and take better ones. All from mandco. I'm of a certain age and I am at peace with this. If I'm feeling skinny I'll wear the bottom one on the Friday but if not the middle one and the top one for Saturday. 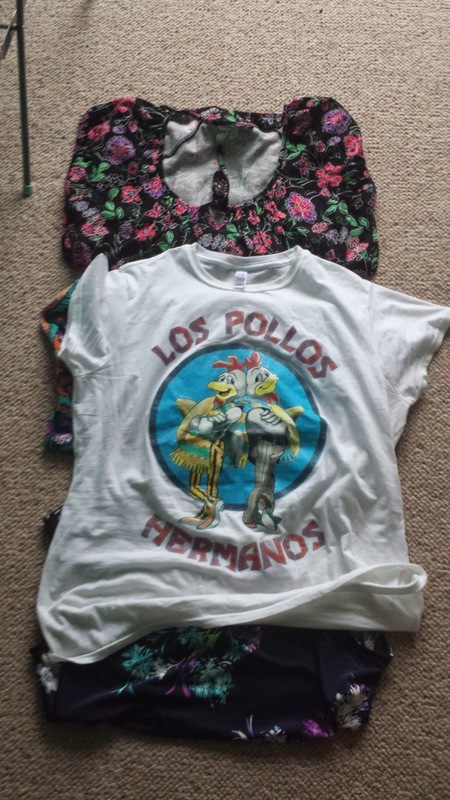 What I'd really like to wear - my Breaking Bad T-shirt. Who knows it may make an appearance. Skinny jeans or my denim skirt - again depends how I'm feeling - my fit flops to walk from the stations - see heelgate. 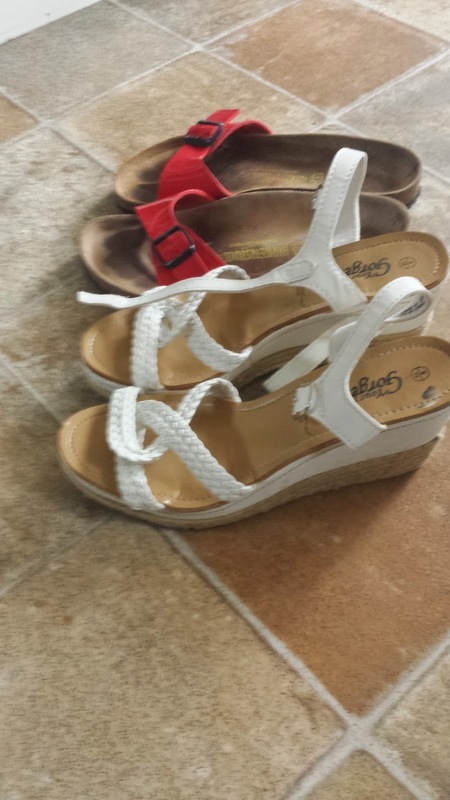 Plumping for the white wedges although I have tan ones which are slightly higher and would look more 1970's so will pack those too. I don't do light packing. 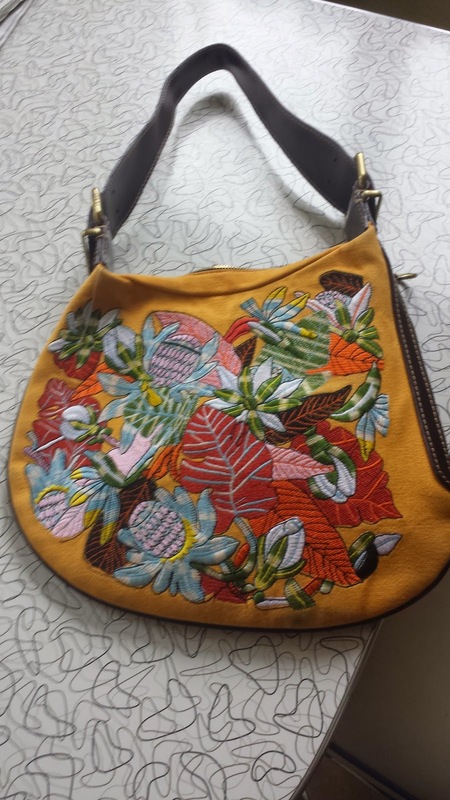 My going out bag - Fendi and very colourful given that we are off to the Cuban restaurant in the evening - in fact I may team this with my chicken t-shirt and skirt. I'll also pack my denim jacket and maybe my leather one. So there you have it. I hope my 'business' cards arrive on time otherwise I'll be the blogger that came to the biggest blogging conference without her cards. I'll be writing down my details on scrappy bits of paper and that's always impressive! In any event, if you don't recognise me from these pictures I'll have a whopping great sticker saying "The 1970s Diet". You can't miss me! Ooh nice bags! Keeping my fingers crossed for a 1970s hair flick... See you there!